NYC, 04/08/2019, 7:00PM. The Ash Family: Lured from Her Family. At 19, Berie meets a seductive and mysterious man near her home in North Carolina. Shut off from the people around her, she is compelled by his promise of a new life. 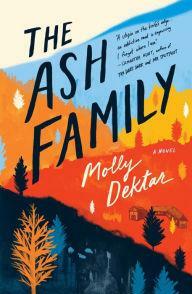 He ferries her into a place of order and chaos: the Ash Family farm. There, Berie joins an intentional community living off the fertile land of the mountains and begins to make friends. And then they start to disappear. With author Molly Dektar.